by the Puerto Rican artist Adrián Villeta. The opening will be on Thursday, October 11, 2018, from 6:30pm in the SPACE Gallery. 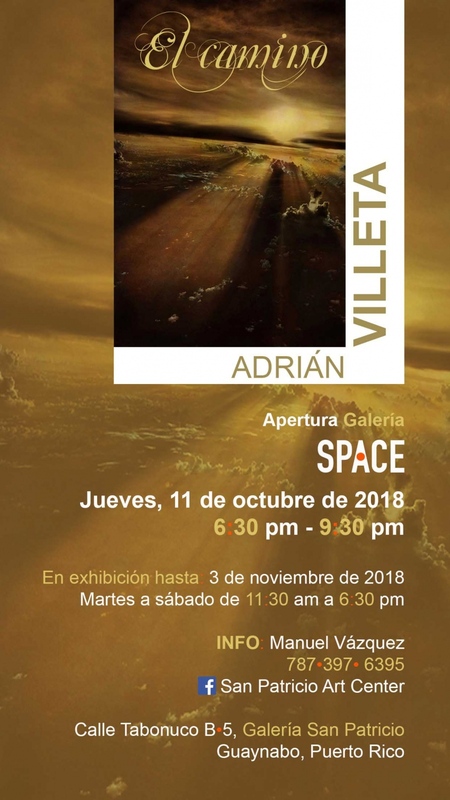 The exhibition is curated by the gallery director, Manuel Vazquez and contains seventeen photographs created with a sepia tone effect from the artist. The images are enhanced by the artist manually, through an electronic application, being colored on his IPad. They suggest topics about sculpture, architecture, nature and poetry. 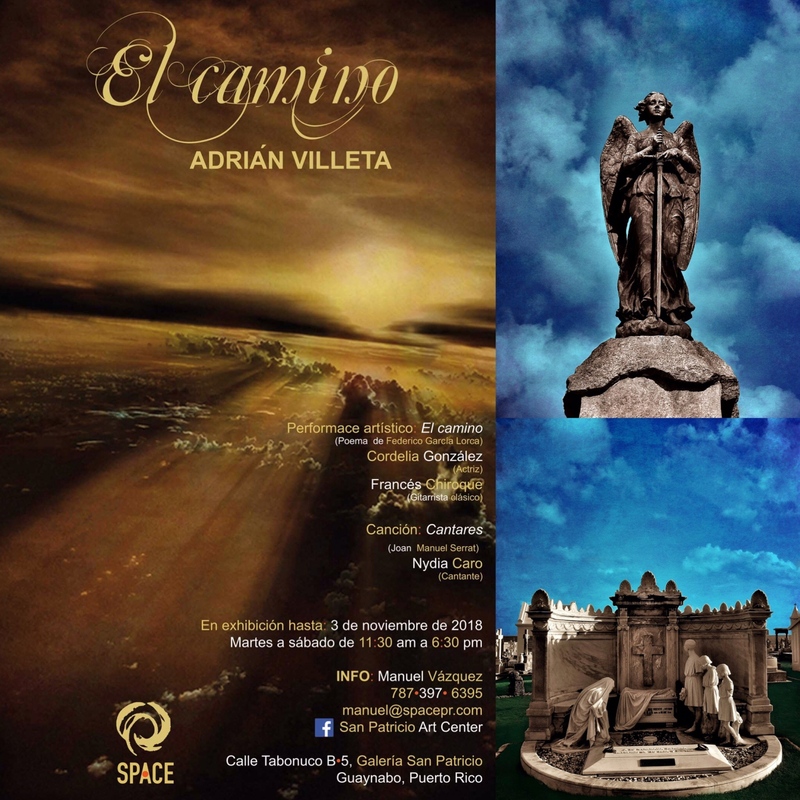 The works offer an intellectual dialogue between the writer Federico García Lorca and the photographer, through the poem El Camino (Libro de poemas de 1921). In each of the pieces the verses stand out in a very particular way with the stanzas printed on the white frames of the photos. The Puerto Rican actress Cordelia González will recite the poem of the Spanish Master accompanied musically by the classical guitarist Francés Chiroque. The artistic performance, shared by González and Chiroque, is inspired by Villeta's artistic proposal. We look forward to seeing you there!